The Gonzo Mama: It Might Be Autism. But It's Probably Not... Unless It Is. It Might Be Autism. But It's Probably Not... Unless It Is. giving her Facebook page a "like!" Let me tell you about my lovely Curlytop. When she came to live with us, she was seven months old, and we’d been told she was a “happy, healthy, typically-developing infant.” Our family couldn't wait to love her. The day we picked her up was the day I learned that some social workers are either completely incompetent, or outright lie when they’re trying to place a child. Curlytop was grossly delayed in motor skill development, didn't really babble or coo like babies do, usually didn't respond to the sound of her name (we actually had her hearing tested, because we thought she was either deaf, or significantly hearing impaired -- her hearing test came back as normal), and resisted eye contact -- so much so, we learned to feed her facing outward, leaning back against my or Mr. Wright’s chest. She was beautiful -- bald as a turtle, and loud as a fire engine when distressed, which was frequently. She didn't point to things, so we mostly ran around the house, fetching or correcting things, until we found the magic button to shut off the banshee scream projecting from her delicate mouth. 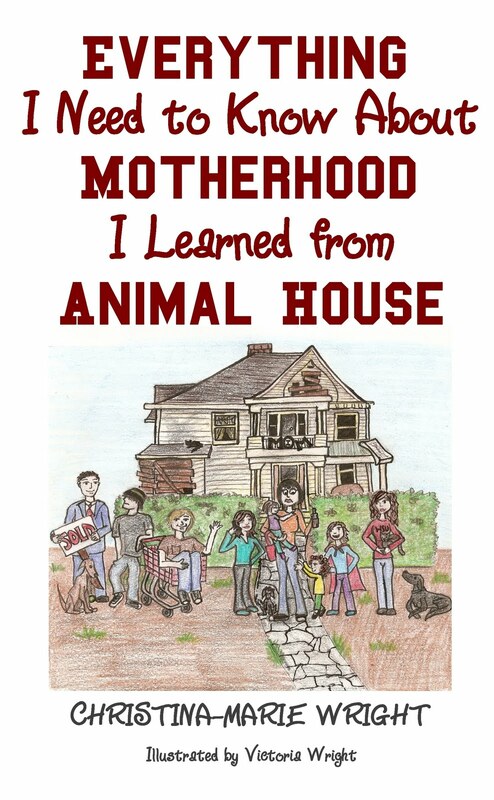 A lot of times, it was an open door (she preferred “clean lines,” when it came to interior decorating) or a particular scent, or a lack of sensory input, or too much sensory input, or… Hell, half the time, I didn't know what the kid needed. One thing she really excelled at was making “farting” noises with her mouth. She’s still really good at it, eight and a half years later, but she’s not aware she’s doing it. We would, in coming months, begin using sign language with her -- a communication tool that would serve as her primary method of communication until she was about three years old. She didn't crawl until she was 13 months old. She didn't walk until she was 22 months old. When she did walk, she was a toe walker. She insisted on wearing her shoes on the wrong feet (still does, today, at nine years old) because the “pinching” gave her extra sensory stimulation. 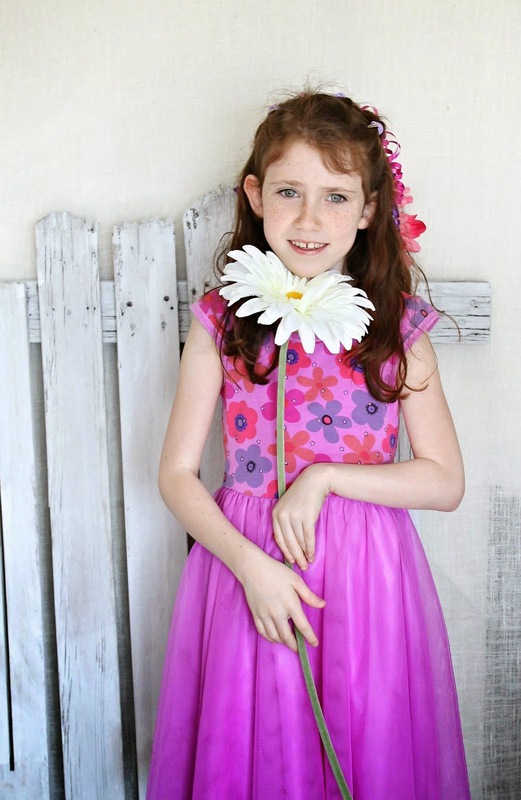 When she was two, Curlytop was diagnosed with absence seizures. We researched the medications and their side effects, and decided against medicating at the time. After all, she wasn't driving a car, swimming or crossing a street by herself, and the potential “dulling, dazed” behavior from the drugs wasn't worth it, as she already struggled with so much. Fast forward to about a year ago, when our team of therapists and practitioners decided maybe it was time to get sweet Curlytop assessed for Autism. The resources for Autism assessment are pretty rare in our area, so we ended up on a waiting list at a major children’s hospital in Seattle for her to be seen. The average wait time, we were told, was a year. For the first appointment. I reached out to the hospital, and had them put us on the cancellation list. The hospital is three hours away. “Give us four hours notice,” I said, “and we’ll drop everything to be there.” We were lucky enough to catch a break and get a call a few months ago to be seen by the screener, who is not a doctor, but is trained to screen out those who aren't likely candidates for further testing. Curlytop received a recommendation for further testing, but the screener pointed to one piece of information in the file -- a very low IQ score, gleaned from a test administered about two years ago by the school district psychologist -- as a possible cause for all her delays, quirks, and lack of social integration. Plus, she explained, there is information in Curlytop’s file which indicated prenatal methamphetamine exposure. Back on the waiting list we went, for the next appointment. Average wait time: nine to twelve months. Once again, I requested to be called if there was a cancellation, and once again, we caught a lucky break. This time, we met with a psychologist and speech and language pathologist (SLP). The psychologist reviewed Curlytop’s medical history with us, while Curlytop and Snugglebug played with toys nearby. It was a “good day” for Curlytop… She played animatedly with her sister, without any meltdowns. The psychologist noted that she seemed to have a pretty vivid imagination, and I pointed out that the scene she was pretending was based on one of her favorite My Little Pony videos. Everything, by the way, is My Little Pony. The SLP went through standard assessments with Curlytop, and we had a short break for lunch, because the speech and language testing took longer than anticipated, because she couldn't stay on task. Rather, she interrupted the work to share random thoughts and information with the tester, and had to be redirected back to the testing process. After lunch, we all regrouped with the assessment team for an overview of what they’d determined. They didn't currently have access to the raw data from her IQ testing, just an overall low score. The low IQ score must be weighed out against what the “expected” social integration would be for a child with that score. Based upon her performance, her social skills appear to match her IQ. However, the data from the IQ testing is critical, because if it showed excellence in a single category, but produced a lowered score due to exceptional deficits in other categories, that may lend itself to an Autism diagnosis. If the testing was not fully demonstrative of her actual capabilities (which is not unreasonable to imagine, if she was tested on one of her “off” days), and her IQ is actually higher, she may receive an Autism diagnosis. Even if she doesn't receive an Autism diagnosis, everyone seems to agree that there is “something” going on with her, as her social interactions seem to be largely one-sided. So, maybe not Autism, but maybe something else. When we got home, I cried. As selfish and self-centered as it sounds, I was devastated at the suggestion that Curlytop might never receive a medical diagnosis that will help us unlock the mystery of how she learns and communicates. Autism is a medical diagnosis. Even Fetal Alcohol Syndrome is a medical diagnosis. But “drug baby” is not. It’s a label, and a stigmatizing one, at that. Which month is Prenatal Drug Exposure Awareness Month? It doesn't exist. What color is the awareness ribbon? There isn't one. Where is my parental support tribe? To be honest, we don’t know, with 100% certainty, that Curlytop was drug-exposed. What we “know” before she came to live with us is boiled down into two volumes of reports from the Department of Social and Health Services (DSHS) of Washington state. We've also learned that not all of the information in the files is factual, or complete. We've never seen a positive drug test from the time of her biological mother’s pregnancy. We've never seen results from any potential testing that definitively state Curlytop tested positive for drugs at birth. We've never even read a social worker’s report that states that a positive drug test exists. We don’t KNOW that she was drug-exposed. Anyway, the next step is for more cognitive testing, and a new IQ test. Then, follow-up testing with actual Autism-focused assessments will come next. After our appointment, I chatted with Curlytop’s regular weekly speech therapist to let her know how it went. She informed me that the director of our primary therapy center had recently become certified to administer the Autism Diagnostic Observation Schedule (ADOS) to help in assessing children for Autism. Yay! Really? We could save ourselves a six-hour round trip to Seattle and back? Yes, please! I set up an appointment with the director, to discuss what we’d done so far, and what was on the horizon. I discussed with him the team feedback from our last appointment in Seatte, and how much of it was based upon the IQ score. When he asked what that score was, I told him, and he was taken aback. He’s worked extensively with Curlytop in her ongoing assessments through the therapy center, and he estimated that her IQ score (and he was really just taking a wild stab at what he would expect the results to be) may be as many as 20 points higher. To put this in perspective, IF he correct, or nearly-correct on her actual IQ, the classification for such a score would take her results from “lower-extreme or well-below-average” to “low-average” or even “AVERAGE.” Both her “current” score and his “expected” score are on the cusps of classification levels, so I’m including a best/worst variance. As we talked, he thumbed through the ADOS test booklet. He cited many examples of questions, and what he expected Curlytop’s performance might be on each question. I agreed with each of his suggestions on her responses. Finally, he told me he would not be one bit surprised to find Curlytop somewhere within the Autism Spectrum, based upon her interactions with him and other staff members. We talked about the benefits of screening Curlytop with someone she knows and trusts, in an environment she is comfortable in. Will an Autism diagnosis help us to access services for Curlytop she might not otherwise receive? Maybe. Will a “rule-out” mean we will stop searching for answers, support, and endeavors to help her succeed? Absolutely not. When we adopted Curlytop, we really did mean “forever,” which means we will never stop cherishing her for the beautiful, quirky, maddening miracle she is. Regardless of her diagnosis (or lack of one), we know WHO she is. She is our daughter, wonderful, and cherished. She is our gift from God. It might be Autism. But it’s probably not. Unless it is. And really, does it matter? 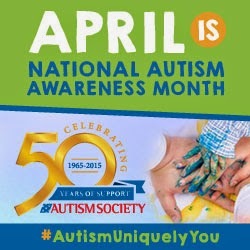 April is Autism Awareness Month. Learn more at Autism Society.